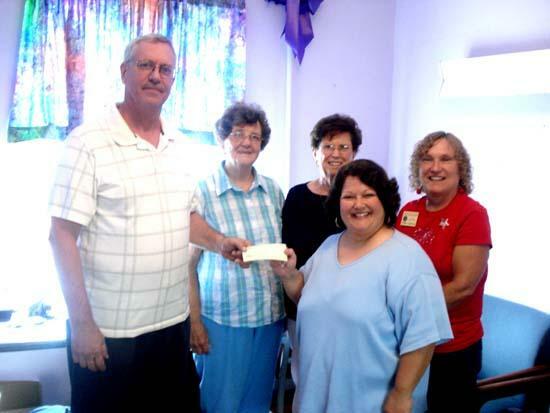 Cannon County SAVE would like to offer a special Thank You to Simmons Chapel Free Methodist Church. The church recently agreed to help financially support this agency on a monthly basis. Simmons Chapel is currently giving SAVE 100.00 per month. The funds are greatly appreciated and are a great help in our fight against domestic violence. Everyone at Simmons Chapel is a true blessing to this agency and the victims we serve. On behalf of the congregation of Simmons Chapel Free Methodist Church, Brother Scott Clark stated, "I would like to encourage the leadership of all the churches of Cannon County to prayerfully consider becoming a regular monthly supporter of Cannon County SAVE (Service and Violence Education). The truth of domestic and child abuse may be hidden from most of our eyes, but the truth of its existence and the evidence that it is more widespread than ever is alarmingly clear. The amount each church could give does not have to be exceptionally high, perhaps somewhere in the range of $25.00 to $100.00 per month. Let us join together in supporting this very worthwhile cause as we bring honor to God through being kind to those in need (Proverbs 14:31)." All services to victims are free and confidential. If you or someone you know is in need of help from domestic violence please contact this office at 615-563-6690. Our lines are open 24 hours a day, 7 days a week. We are here to help.